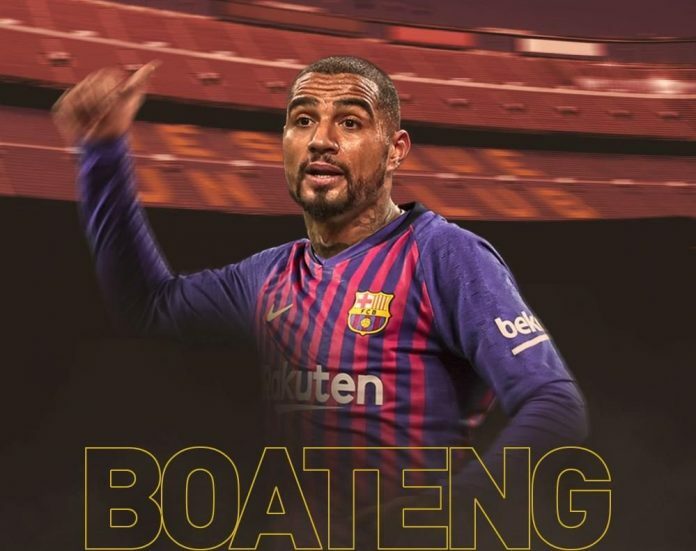 Barcelona have confirmed the surprising transfer of Ghana international Kevin-Prince Boateng from Sassuolo just hours after he was linked with the club. The transfer, according to reports, includes a €8 million (£7m/$9m) option to buy, while Barca will pay a €2m loan fee for Boateng to feature for them the remainder of the season. The 31-year-old will be presented on late on Tuesday morning, with a private contract signing set to be followed with a photo session on the Camp Nou pitch and a press conference at noon UK Time. A statement on the club’s official website reads: “Kevin-Prince Boateng is a player who will surely adapt quickly to the team. With experience of playing in four of the biggest leagues in Europe, the Premier League, the Bundesliga, Serie A and La Liga, he is a man who has scored goals wherever he has been.